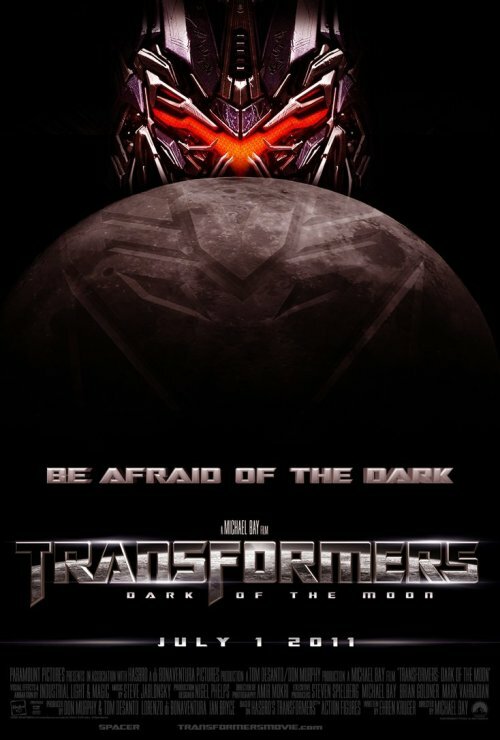 Transformers: Dark of the Moon is a 2011 American science fiction action film based on the Transformers toy line. First released on June 23, 2011, it is the third installment of the live-action Transformers film series. Like its predecessors, Transformers and Transformers: Revenge of the Fallen, Transformers: Dark of the Moon is directed by Michael Bay and produced by Steven Spielberg. The film's story is set three years after the events of the second film, with the Autobots, during their collaboration with the NEST (Networked Elements: Supporters and Transformers) military force, discovering a hidden alien technology in possession of humans, which had been found by Apollo 11 on the Moon 42 years prior. However, the Decepticons unveil a plan to use the technology to enslave humanity in order to bring back Cybertron, the home planet of the Transformers. Shia LaBeouf, Josh Duhamel, Tyrese Gibson, and John Turturro reprised their starring roles, with Peter Cullen and Hugo Weaving returning as the voices of Optimus Prime and Megatron, and Kevin Dunn and Julie White reprising their roles as the parents of the protagonist, Sam Witwicky. English model Rosie Huntington-Whiteley replaced Megan Fox as the lead female character; the cast also saw the additions of Patrick Dempsey, John Malkovich, Ken Jeong, and Frances McDormand. The film also welcomed Keith Szarabajka, Ron Bottitta, John DiMaggio, George Coe, Francesco Quinn, James Remar, Greg Berg, and veteran science-fiction actor Leonard Nimoy to the voice cast. The script was written by Ehren Kruger, who also collaborated on the narrative of the second film of the series. Dark of the Moon employed both regular 35mm film cameras and specially-developed 3-D cameras, with filming locations in Chicago, Florida, Indiana, Moscow, and Washington, D.C.. The film was rendered specifically for 3-D, and the visual effects involved more complex robots which took longer to render. 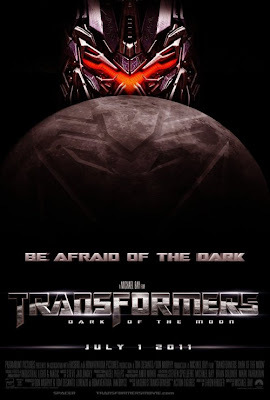 In May 2011, it was announced that Paramount Pictures would move Transformers: Dark of the Moon's release date of July 1 to June 29 in order to monitor an early response to footage. Exclusive early premieres in select 3-D and IMAX theaters took place June 28, 2011, one night before worldwide release in 2-D and 3-D (including IMAX 3D) formats—each featuring Dolby Surround 7.1 sound.